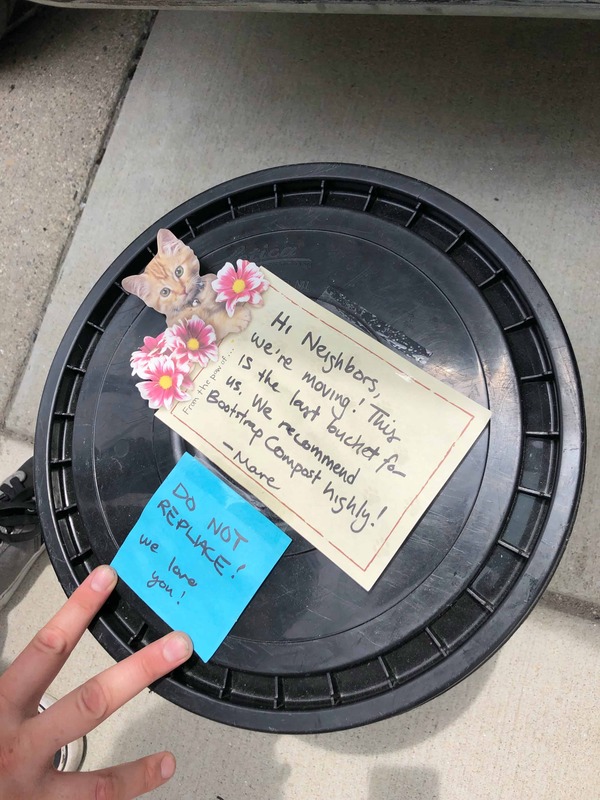 My third week at the Boot began with my third ride-along of the season, this time on a residential pickup route in Jamaica Plain. Along the route, I had the privilege to discuss some of my favorite subjects with Cee, who, like me, is studying sustainability. We talked about farmers, regionality, food systems and attempted to get to the bottom of the whole sustainability thing. We both agreed that it’s now such a major buzz word and inevitably has lost much of its meaning. Perhaps on its own, the term sustainable is not as useful as, for example, attaching the adjective before words such as growth, development, farming or industry, or after words such as economic, environmental or social. That might be a whole another blog post, so I’ll direct you to Wikipedia and otherwise leave the topic alone (for now). Residential routes are really interesting and diverse. Emma, Director of Operations, does a great job of making routes that are streamlined with many pickups per street. This week was also the famous “Compost Week!” where we drop off a share of finished compost to our clients. Many subscribers in JP have gardens and plants, so I was glad to take a part in delivering them black gold from Bootstrap, a high-quality, hand-sifted and nutrient-rich product that I’ve had the pleasure to sift and pack myself. Back at HQ I was tasked later in the week with separating some silky smooth worm castings from our worm bins. “Castings”, for the uninitiated, is the fancy word for worm poop, which when applied to lawns and gardens serves as a fantastic fertilizer rich in nitrogen and other nutrients. To create the Bootstrap Black Gold Blend, we combine castings with our compost shares to give them a little extra boost. All of this made me want to get back into vermicomposting. I had tried this before with limited success as the worms require a suitable medium for growth, a large container with adequate airflow and a steady supply of kitchen scraps. I was a little over-eager with the food scraps and did not have a large enough container, so unfortunately my vermicomposting setup turned into a smelly soup of half-decomposed anaerobic plant matter. Not good for a small apartment, to say the least. If you want to try vermicomposting at home, there is a special species required, known colloquially as red wigglers, or Eisenia fetida for the scientifically oriented. 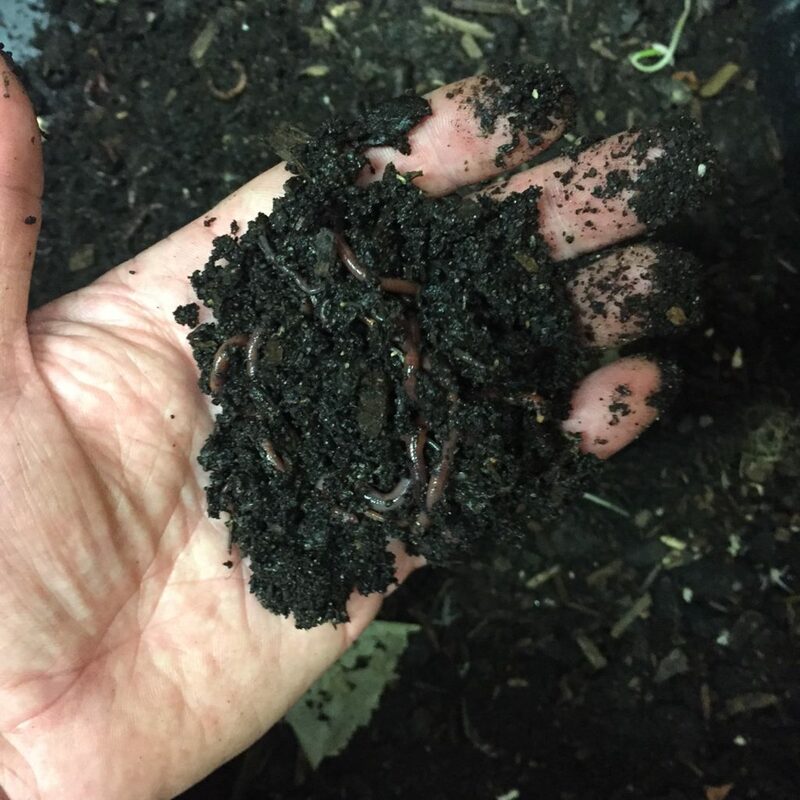 These worms are unable to survive the cold of a New England winter and also temperatures higher than 85 degrees F, so they require an indoor set up. They do not live in soil, but rather in decaying plant matter, so it is important to provide them with a medium by which they can easily move and keep their skin wet. At Bootstrap, we often find them clumped into a big ball inside an old apple or chunk of pineapple. In fact, this is a good way to separate them out from their castings as they will preferably migrate to clean bedding and new food items. The castings left behind can then be harvested without losing any worms in the process. As part of my internship I will be working on ways to streamline the production of castings and test different methods of extraction. Check back in next week with more updates about worms, compost testing and other internship-related news! Keep on composting, my friends.